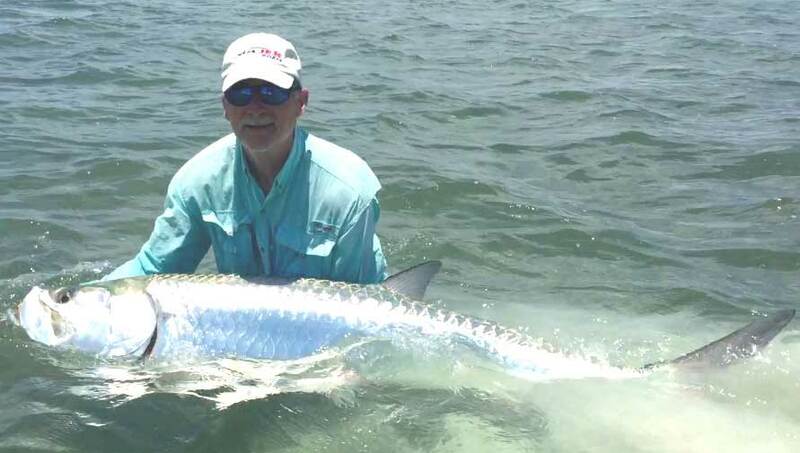 Although I reside and can launch in Key Largo, I am more than just a Key Largo fly-spin fishing guide since I am a World Wide Sportsman/Bass Pro Shop pro-staff resident guide in Islamorada and fish throughout the entire upper Keys over into the Everglades. In addition to the testimonials following I also want to thank all of my anglers who realize one of the best compliments they could give me is a referral. Hi Sharon-just wanted to thank you for arranging my trip today with Larry. The weather wasn’t great and my casting was bad but Larry is a gentleman and I appreciate his patience and efforts today. It was tough gong out there and he stuck with me. I will surely keep you in mind if I’m lucky enough to sneak back down in the near future. If you want a great guide, a comfortable boat, and a captain who truly knows what he’s doing, this is the right choice. Larry made myself and my two kids (14 and 16) so comfortable and we had an incredible fishing experience. He has the knowledge to both put fish on and teach young newcomers what they are doing and land terrific fish. 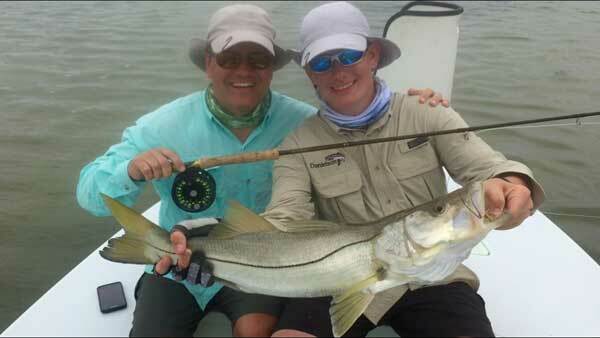 Great gear, live bait, and comfortable dry boat makes this a truly worthwhile experience. Being a prior flats boat owner who loved to light tackle, spin cast, and fly fish, this boat captain far exceeded my expectations. Thanks Captain Larry, we’ll be back! Hi Larry – Our trip with you that afternoon is firmly cemented in the memory of my boy, Joaquin, for his entire life !!! Thank you again for your captaining skills. Y’all were great to work and play with. We had a blast! Good morning, I must complement you, I have been with many guides and have many guides as good friends but I’ve never come across a Guide service that is so detailed oriented. It’s nice. Thanks for a most memorable trip. We have “happy bucks” at Rotary. I usually pay $1 when I have a fish story to tell. Last Wed. I paid my dollar and didn’t say a word. I just spread my arms as far wide as they would reach and did a 360 and then sat down with a big smile. Thanks Larry for the fun. Dad and I caught our 2 personal largest fish. 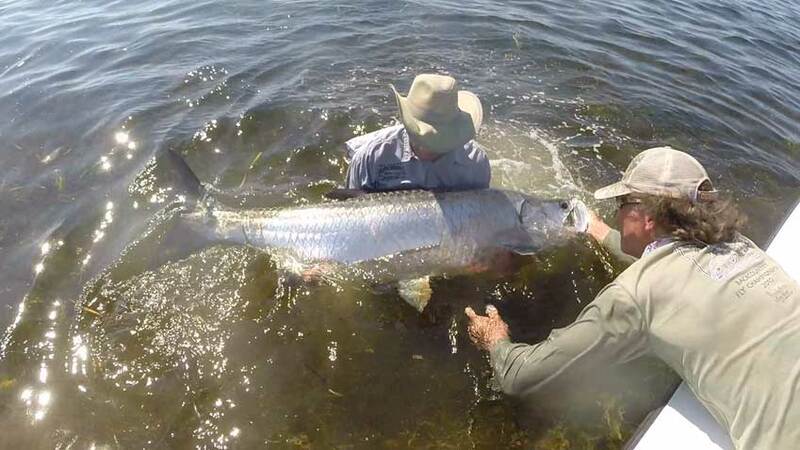 A three hour fight versus a giant tarpon from the dark to mid morning is something we’ll always remember. Thank you! Thanks I had a great time and will be back for tarpon. The video is cool. L thanks again for two great days. Had lots of fun and enjoyed your company and humor pat. We enjoyed fishing with Larry. Sorry, we could have done a bit better..2 bones for me would have gotten us runner up Grand Champion…tough conditions..Damn Weather..Maybe next time Xoxo Brower. Nobody works harder than you finding fish! We’re psyched already for 2017. Thanks again, Larry. Sharon – Jake and I had an awesome time with Captain Larry on Tuesday! We could not have had a better experience and I have been telling everyone I have been meeting about our trip. Hopefully we can do it again next time we are here. Thanks again and tell Larry Hi! We just wanted to thank you for Paul’s outing. He really enjoyed it and came home with a fish story as well. 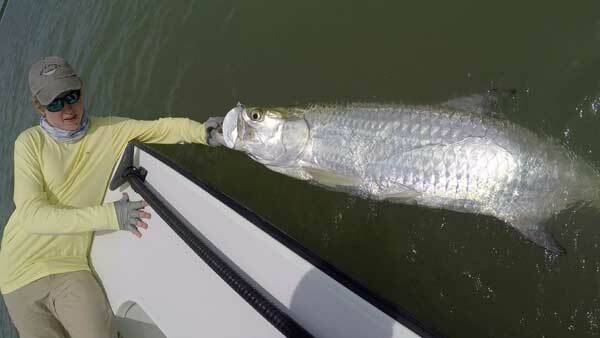 If you are able, we would appreciate a photo of the monster fish for his newsletter. We also had a fun day with Captain Todd, and again Paul caught a monster red grouper. Appreciate the referral. Thanks again. Sharon – I can’t begin to tell you how hard Larry worked to try and put me on a fish. His easy going style, great equipment and boat, knowledge of the area, flies that he ties, just back and forth boat conversation, and on and on, were what I am looking for in a guide. Sharon – What an incredible picture! We had a great time with Larry. He made us better anglers…..well he made IV better, I am beyond help. I just wanted to say how much I enjoyed the day with you and how great of a guide and teacher you are. I was enthralled.I hope to become a much better caster – including with my right hand, and schedule another trip with you at some point. You mentioned that you were preparing for a tournament – I hope that is going well and your client can take better advantage of your skill and expertise than I did; you had us on top of big fish almost continuously and I didn’t really fish all that well for most of the time – but I had a blast and got a taste of what real tarpon fishing is like. You are a wonderful guide and a great guy and I really enjoyed meeting you and fishing with you. Keep up the great work – hope the wind and water and fish are all trending in your favor. Capt. Larry kept on the fish ALL day long & worked his backside off . GREAT guy and had patience of a saint with my fly casting! Book Capt. Larry for an AMAZING trip in the Keys. Thanks again Capt. Sharon and Larry, Many thanks for helping Ben catch this FISH. Though I’m not sure it really squelched the desire. He says you were very organized and informative (pre-trip) and kept the rods and tackle coming during the trip. Happy Easter! Larry. Thank you once again for the opportunity to enjoy the good life with the best guide ever! Larry. Thank you for a wonderful day. I am sorry I wasn’t more productive but I learned a lot and will kick a… Next time. Take care. Pat. Got fly grand champion and runner up grand champion (by 4 points, which I should of had but for angler error). AND given that there were no extra points given for fly…(and it was blowing 20-25) I feel jubilant that we finished so high. Don’t know of any photos…but will forward if I get any. PLEASE forward any videos you wind up with, as we had an amazing day that I would love to share and remember. Thanks, and looking forward to our next adventure! Thanks for all your hard work Larry. Couldn’t ask for a better capt. or friend for Cyler to be teamed up with. 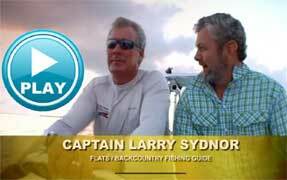 Video testimonial from International legendary fly angler/instructor/author Stu Apte . We both really enjoyed the fishing with Larry, if there was any lack of fish it was due to our ability, because Larry put us on plenty of fish. Sharon, Captain Larry, Just so you know, I was able to print out the Gift Certificate and will give it to my brother in law and sister today. I know he will enjoy it. We still talk about our trips with Larry to this date and will forever more.